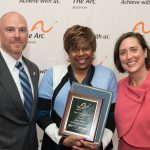 The Arc Baltimore will hold its 2019 Annual Meeting and Awards Ceremony on Wednesday, May 1, 6:30-8:30 p.m., at the Red Lion Hotel North Baltimore, 2004 Greenspring Drive in Timonium, MD. The Annual Meeting and Awards Reception “kicks off the celebration of our 70th year, and provides an opportunity to recognize those businesses and individuals who have gone above and beyond in their service to The Arc,” says Kathleen Durkin, Executive Director of The Arc Baltimore. 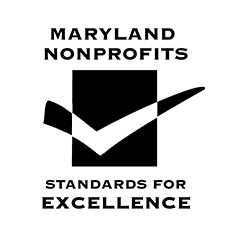 The event will include award recognitions to a wide range of community partners, The Arc Baltimore staff, and supported individuals, including awards for Volunteer Service, Excellence in Foster Care, Employee of the Year, and Outstanding Supported Employee. In addition to the Awards Reception, the Annual Meeting will feature the election of The Arc Baltimore’s new board of directors and officers. 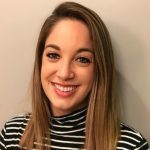 As in past years, WMAR-TV 2 news anchor Jamie Costello will serve as emcee. Dedicated to providing advocacy and high quality, life-changing supports since 1949 in Baltimore City and Baltimore County, The Arc Baltimore currently supports more than 6,000 adults and children with intellectual and developmental disabilities and their families. The Arc Baltimore’s programs and services allow individuals with disabilities to live independently in the community, work in meaningful jobs, enjoy friendships and activity in the community, and support their families in the challenges they face. The Arc Baltimore’s 2019 Annual Meeting and Awards Reception will begin at 6:30 p.m. with a reception, followed at 7 p.m. with the Annual Meeting and awards ceremony. Tickets are $20 for staff and individuals receiving services from The Arc Baltimore, and $40 for all others. For more information or to purchase tickets, contact Lauren Seabolt at 410-296-2272, ext. 5220 or lseabolt@thearcbaltimore.org, or visit The Arc Baltimore website at www.thearcbaltimore.org.